“I was invited to be a brand representative for Sweet’N Low® and have been compensated for this post for SocialStars. 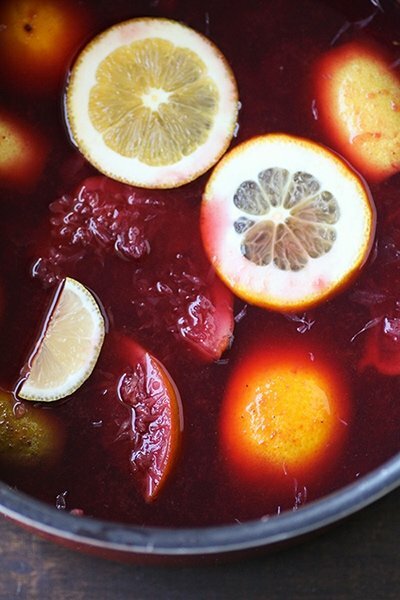 All opinions are my own.” I’ve created the ultimate Sweet’N Low® Cranberry Mulled Wine recipe #donthesitaste it’s something the whole family will love as part of a sponsored post for SocialStars. 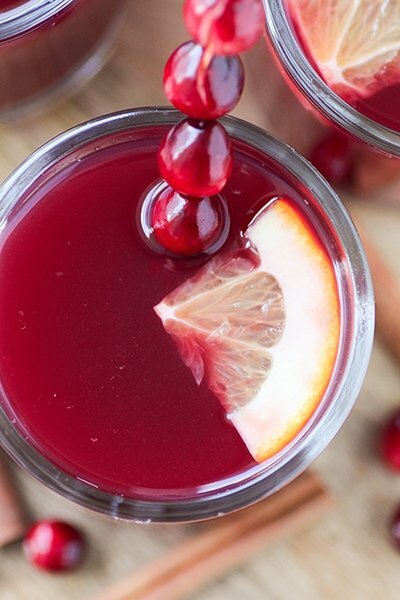 Sweet and tangy Cranberry Mulled Wine with warm spices, fresh citrus fruits, red wine and apple cider and fresh cranberries. Serve it for Thanksgiving and Christmas. It’s guaranteed to warm you up on a cold winter day! This time of year traditionally means spending more time with friends and family. It wouldn’t be the holidays without mulled wine and this recipe is sure to make entertaining easy and more fun! Thanksgiving is all about giving thanks and bringing family and friends together. Since entertaining is at the top of the list, food and beverages play an important part. This time of year is an important part in our family and it’s something we look forward to every year. 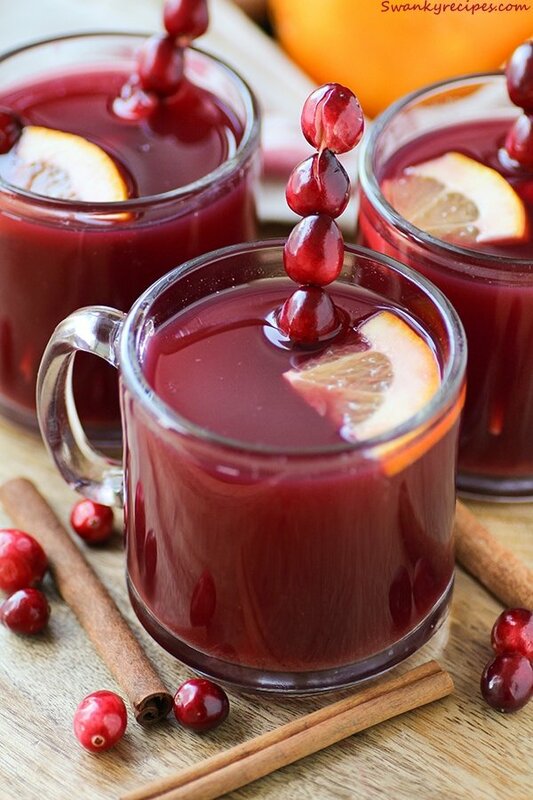 I can’t think of a better beverage to serve than Cranberry Mulled Wine for the special occasion. Since I was little I remember grandma making a big pot of mulled wine on the stove top for the holidays. The warm spices were enough for me to want to try it but grandma made a special batch without wine for the kids. It’s been a big part of our holiday celebrations for decades. 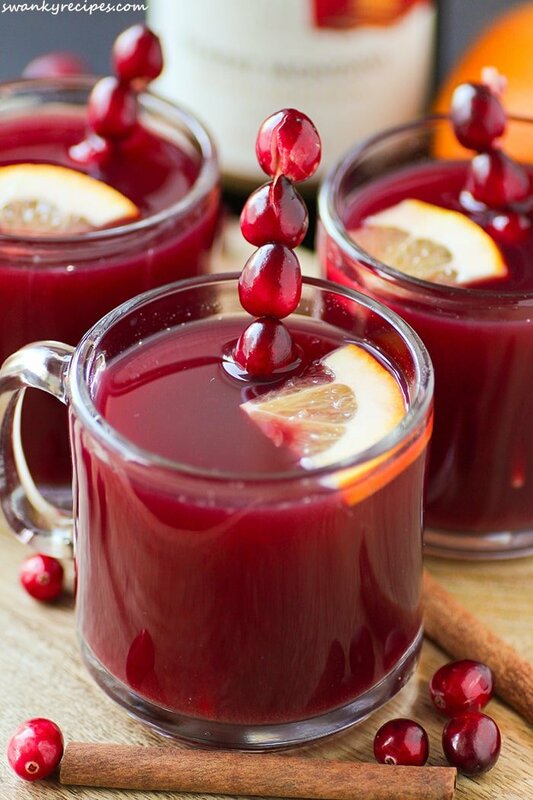 Cranberry Mulled Wine is the perfect hot beverage to share with loved ones this holiday season. 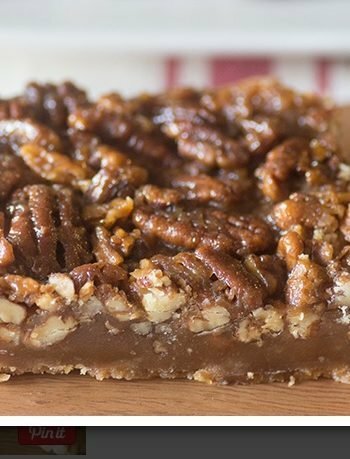 Large batches can be made ahead of time and warmed easily for the big day. This recipe can also be made in a crock pot and can simmer for hours while lending beautiful aromas to the house. This time of year, I love to get the friends together on a cold night and enjoy a night in with a hot cup of mulled wine. This isn’t just any ordinary mulled wine though, it has fresh cranberries and fresh fruits and spices added which offers a nice fruity sweetness to it. Mulled wine is perfect for the holiday season, too. Serve it while guests are arriving, at the dinner table or as a dessert. Giving a mulled wine gift is both fun and exciting. I love to gift the hostess of a holiday party and making a gift set is pretty easy. You’ll want to include a bottle ( or two! ) of wine, wine opener, fresh cinnamon sticks, a set of glasses, Sweet’N Low® packets and warm pairing spices. Making this recipe is incredibly easy. It also smells amazing which is enough reason to place the pot on the stove and mull wine during the holiday season. It’s as simple as placing all the ingredients in a large pot and simmering it on medium low heat for an hour. Taste testing is always a must while preparing this! Mulled wine has been warming people for centuries. The recipe calls for the perfect warming spices that make it the best hot beverage to serve during the winter holidays. Mulled wine is a delicious alternative to classic seasonal beverages like hot chocolate, cider, eggnog and certain tea and coffees. 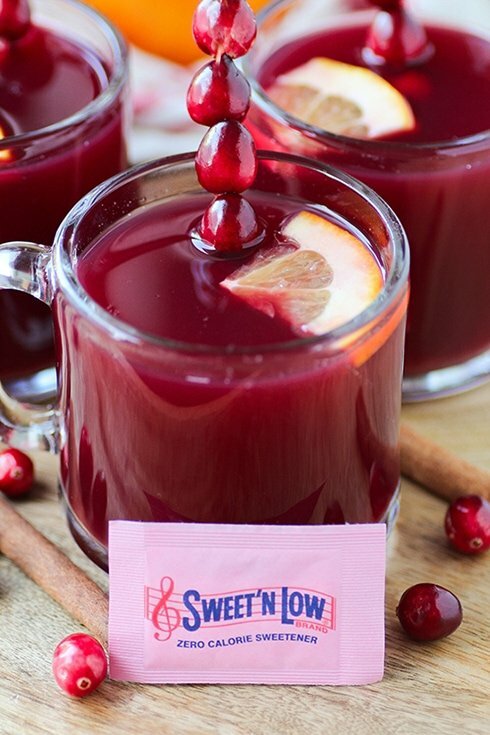 Sweet’N Low® is a great alternative to lighten up this recipe since it’s a zero calorie sweetener and can help reduce calories in drink recipes. It can now be enjoyed without all the extra calories. 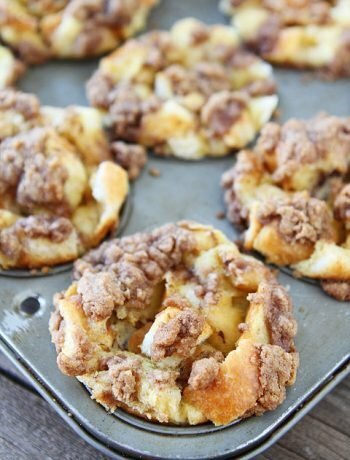 You’ll want to be sure to get the good kind of apple cider for this recipe and not the juice that is in the fruit drink aisle. Place wine in large pot over medium heat. Slowly add apple cider. Bring to simmer and add cinnamon stick and pinch of cloves. Sliced oranges and lemon and juice them over the pot then add the washed skins to the pot. 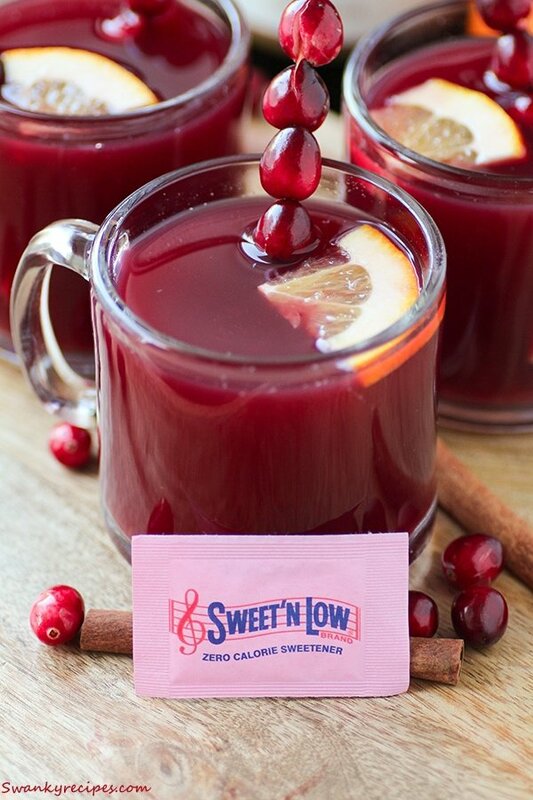 Stir in Sweet'N Low® and cranberries. Simmer over medium low heat for 85 minutes. Adjust sweetness with Sweet'N Low, if desired. Cranberries can be pressed against the side of the pot once cooked. Strain mulled wine before serving. Garnish with fresh cranberries, cinnamon sticks and sliced fruit. The ladies and I are so gonna try this! 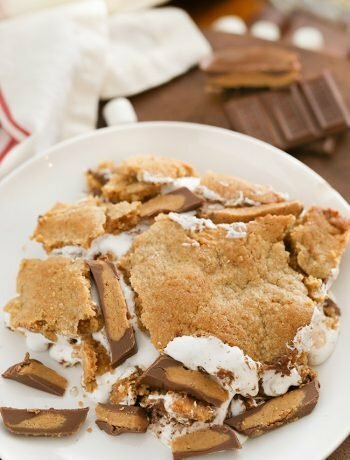 Oh, I might need to make this for Thanksgiving! Love, love love mulled wine. thanks, Karly! Nice and fruity… we make something similar in Brazil too during winters and serve it hot. That has pineapple in it. I was imagining the smells as I was reading the description. Ummmm! Never tasted mulled wine, as it’s not a tradition in Kenya. It’s just too hot to have it. It’s going on my wish list to taste mulled wine. You have got to try Mulled Wine, def a favorite in this house! Could totally use a cup of mulled wine right now. Thanks, Teresa! This would be a nice way to welcome guests during the holiday season. I love cranberries, so this is perfect!